DUE TO FACTORS OUT OF OUR CONTROL, CLINTON FEARON WILL NOT BE PERFORMING ON SATURDAY, OCTOBER 20TH. If you purchased a ticket through Eventbrite, you will receive a refund on the card used. Please contact info@flamingocantina.com with any questions or concerns. Our apologies! We look forward to rescheduling Clinton’s show. $5 cover, doors 9 p.m.
Music4Life features Alan Moe Monsarrat (Mau Mau Chaplains), RJ Johnson, Philip White amongst other super talented reggae musicians. 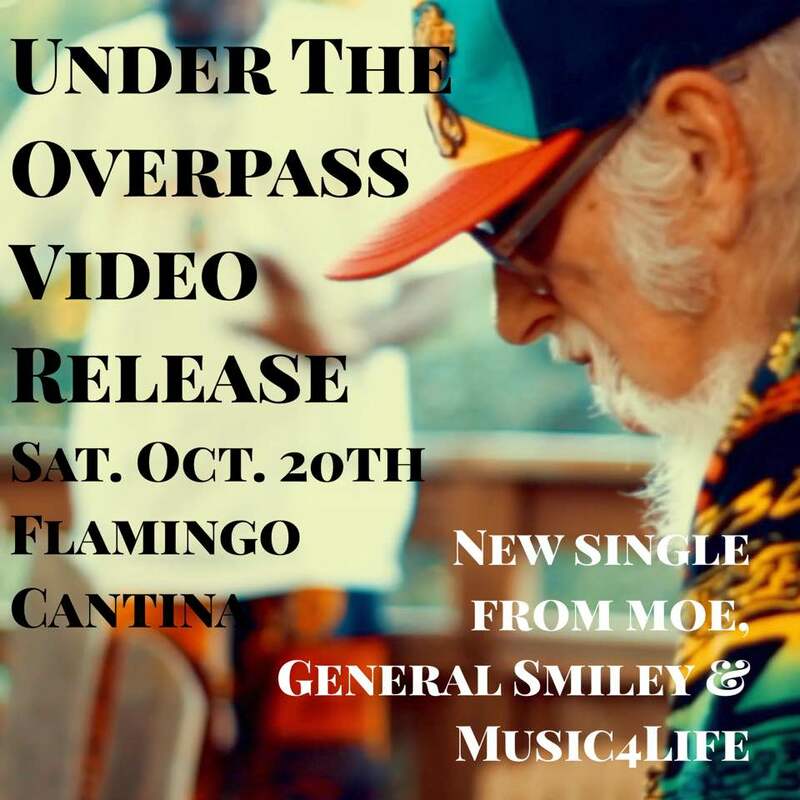 They will be showing their new video release written by Monsarrat entitled “Under the Overpass”, a song inspired by the tribulations a homeless woman he knows that lives on Austin’s streets.